The Rational method is a widely used technique for estimation of peak flows from urban and rural drainage basins (Maidment 1993; Mays 2001). 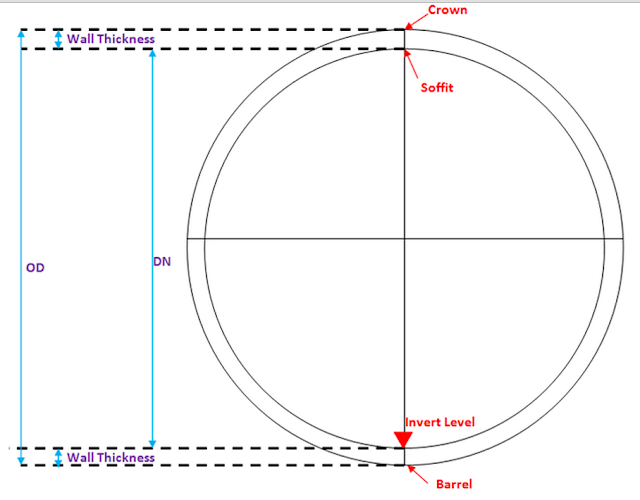 Stormwater modeling applications such as the design of detention basins require knowledge of total inflow volume obtained from runoff hydrographs. For these applications peak flow information alone may not be sufficient. The San Diego modified rational formula is a technique adopted by the San Diego County to generate runoff hydrograph by extending the traditional rational formula. However, the San Diego Modified Rational Method (MRM) has an alternating balance hyetograph and not a constant rainfall. 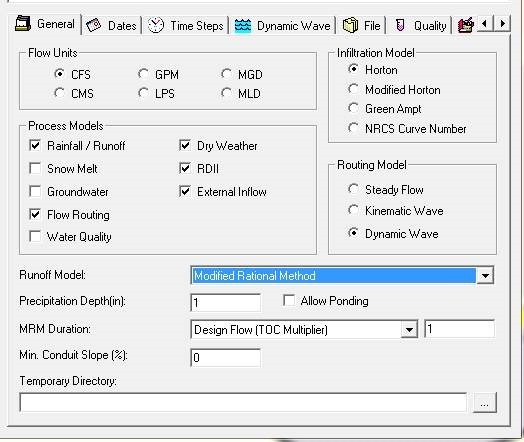 Starting with the release of InfoSWMM and H2Omap SWMM v13 Update 9 a new Modified Rational Method has been added with a constant Rainfall. The peak of the runoff per Subcatchment is given by the equation Q=CIA (Figure 1). Figure 1. Q = C I A equation definition. 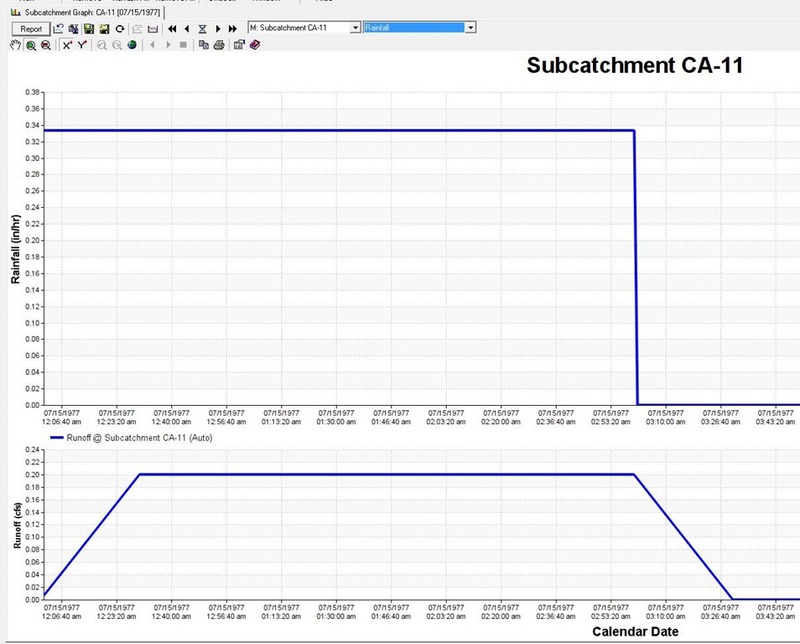 Figure 4 The parameters for the Modified Rational Method (Runoff Coefficient, Time of Concentration and Design Storm Tc Multiplier) can be added or edited in the Subcatchment DB Tables of InfoSWMM and H2Omap SWWMM. Figure 5 The Modified Rational Method has a total storm depth and either a total storm duration or a time of concentration (tc) multiplier. 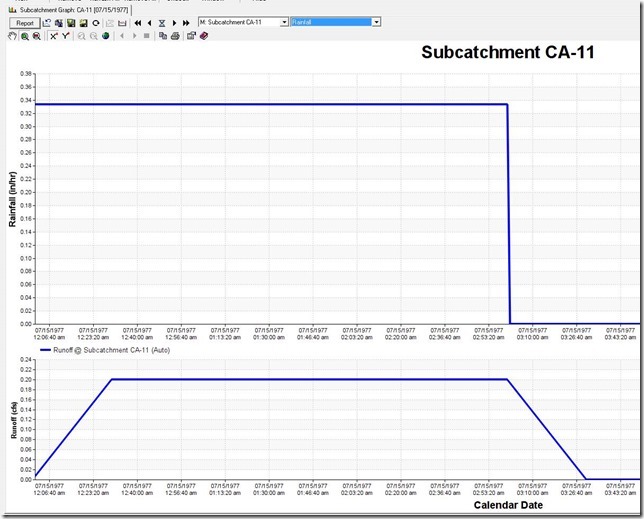 Figure 7 The Output Manager Subcatchment Summary Table shows the peak flow, the total runoff, the time of concentration and the Simulated Runoff Coefficient. 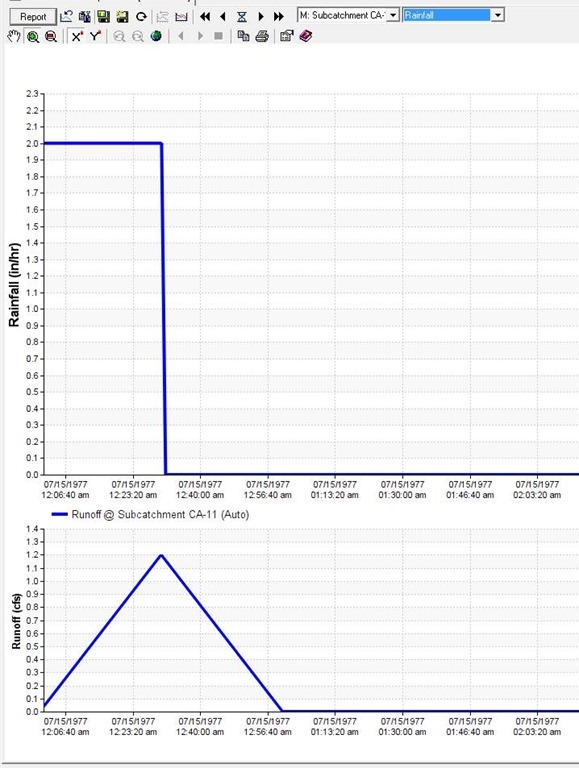 Figure 8 The Runoff Graph can be triangular based on a constant rainfall shape if the duration is set equal to zero. 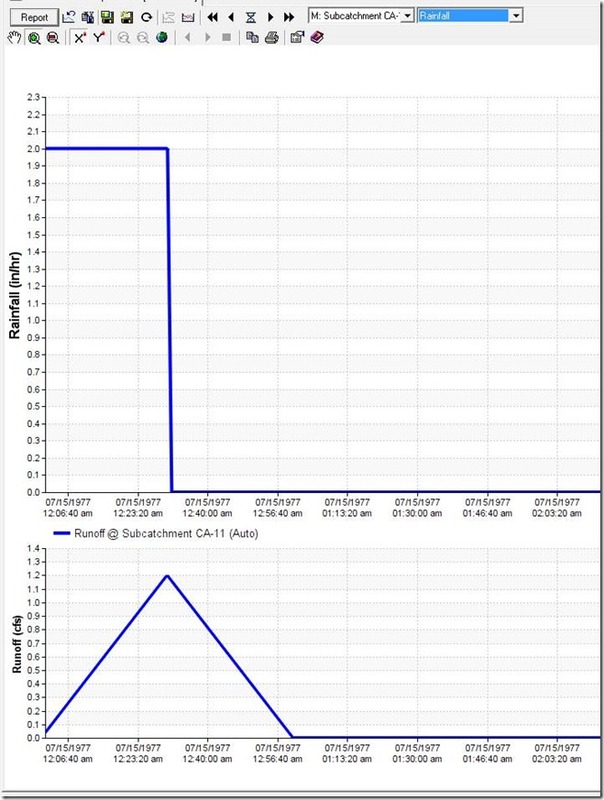 Figure 9 The Runoff Graph can be trapezoidal based on a constant rainfall shape if the duration is non zero. Figure 2 Modified Rational Method is the last method in the Pull Down Menu in the Runoff Model Selection Dialog. 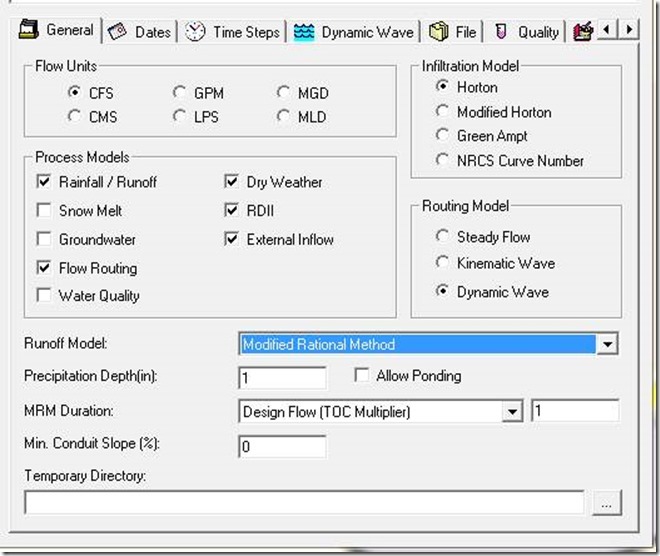 Figure 3 The parameters for the Modified Rational Method (Runoff Coefficient, Time of Concentration and Design Storm Tc Multiplier) can be added or edited in the Attribute Browser (AB) of InfoSWMM and H2Omap SWWMM.